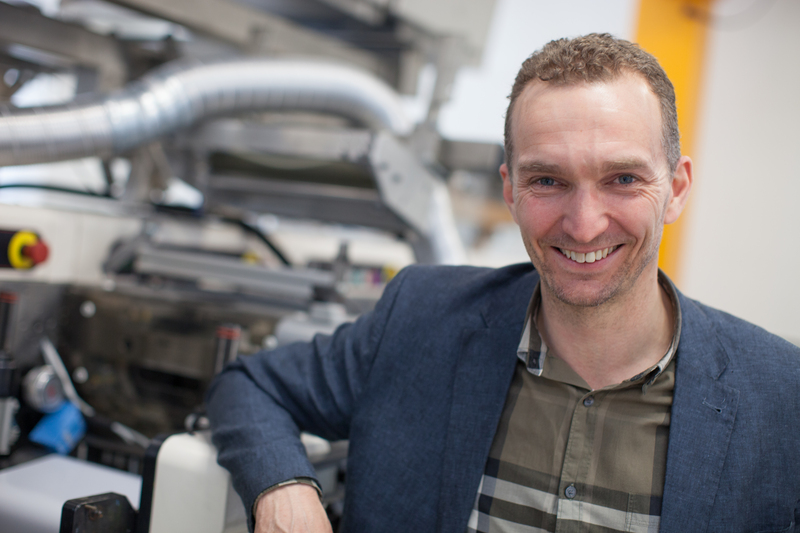 The 2014 Marcus Wallenberg Prize of SEK 2 million is being awarded to Professor Magnus Berggren at Linköping University for his pioneering research which has made it much easier to print electronics, such as sensors and displays, on paper and cardboard. This opens up a new huge global market for the forest industry. The best-before date on the milk carton you left out on the table changes. A package from the freezer tells you that the content is defrosted. Pick up the muesli packet and you receive a warning via your mobile phone that it contains nuts. Check whether your sore throat is caused by bacteria by quickly testing with a simple, cheap, recyclable strip of paper. All of these are examples of how electronics printed on paper can change people’s everyday lives. Magnus Berggren is recognised for his contribution to fundamental research and a number of applications of electronics on paper. For example, he has developed ion-based electronic transistors that run at low voltage and are simple to print on relatively raw surfaces like paper. Using traditional technology, electronics are printed as a thin film of polymer flattened between two electrodes. The printed electronics are also part of the layout on the packaging. Applying voltage to the print releases electrons so that the polymer is given data about the project that can be read or sent to a recipient. The optical properties of the polymer can also be changed so that the ink, for example, changes from transparent to black. In combination with small batteries and antenna, which can also be printed on paper and cardboard, we will be connecting up to a large number of everyday items around us, and communicating with them. Simple memories and sensors can be printed cheaply, quickly, and in large quantities. Market assessors believe that the number of items, primarily commercial products, that will be connected to the Internet within ten years will be approximately 5-10 trillion compared with today’s figure of approximately 15 billion gadgets. Here Magnus Berggren’s work creates a major opening for paper and cardboard, with a new huge global market. 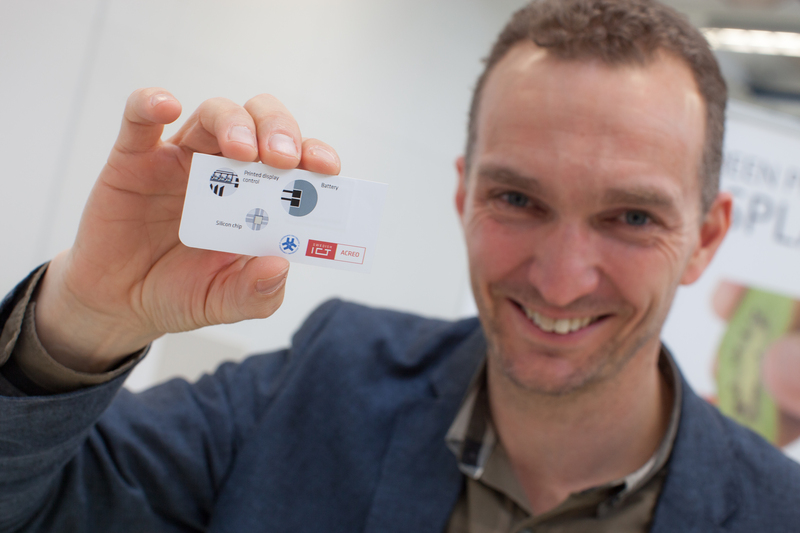 Using the same basic technology, Magnus Berggren has also developed organic bioelectronics – components that enable communication between biological systems (ions) and electronics (electrons) – for use in medicine and diagnostics. They can also be used at home to relieve the health services and, as they are printed on paper, they can be recycled after use. 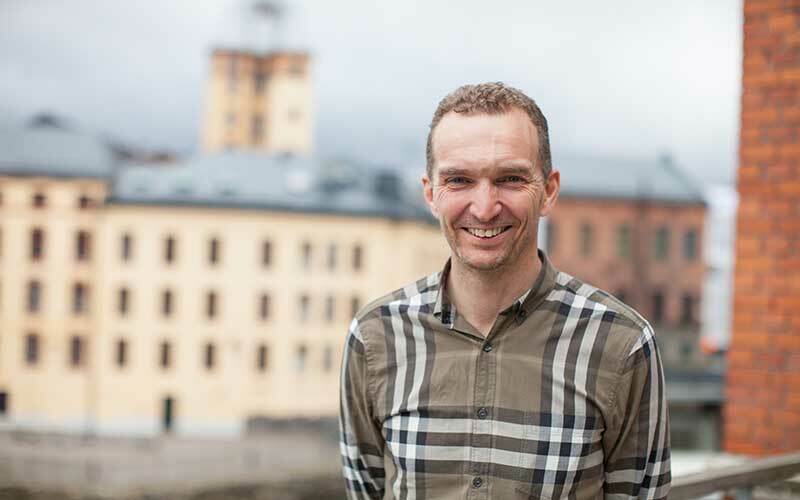 Magnus Berggren is professor in organic electronics at Linköping University and leads a group of 35 researchers while also setting up close collaboration with the research institute Acreo Swedish ICT. Magnus Berggren is involved in a large number of patents and has written more than 150 papers and articles presented at renowned conferences and published in scientific journals, including Science and Nature.